Bush League Breeders Club - Matt Lerer shows off this stunning ball python he just hatched, as well as some other very envy-worthy hatchlings. Bush League Breeders Club - Matt Lerer produces another seriously hot ball python with this beautiful combo. Bush League Breeders Club - Matt Lerer shows off some beautiful ball python babies from this pairing. Bush League Breeders Club - Matt Lerer missed the GHI on this one, but who can complain about these results? Awesome ball python! Bush League Breeders Club - One hot breeding pair of ball pythons. 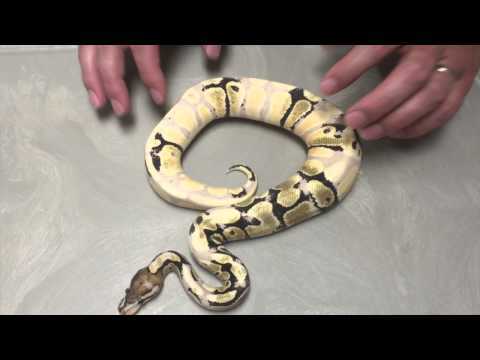 YouTube - Justin Kobylka goes to Cape Fear Constrictors to show off two of their awesome ball pythons—an enchi Mojave GHI and a paradox fire coral glow.